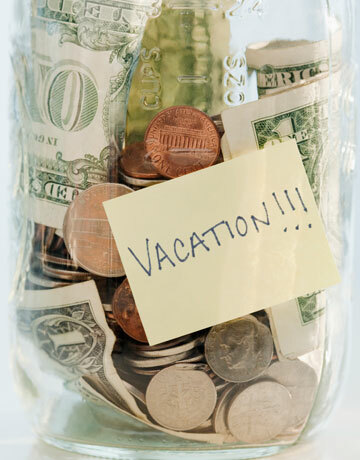 Vacation Spending | It's In The Sauce! The book I wrote ten years ago, A Year in the Life of a Recovering Spendaholic, will be published by the end of this year. This book chronicles my journey of not purchasing anything for myself for a full year. (There are a couple of qualifications of “not purchasing anything,” but those can be found by reading the book!) This book is being published nine years after I had planned for it to be published. There is no excuse for the delay, other than the obvious; I just did not get it done any earlier! This reminds me of my other book, How to Thrive in Spite of Mess, Stress and Less! It was published in 2002, and was written over six years. Although I was concerned at first that it took so long for me to finish writing that first book, when it was finally published, I decided that the timing was perfect. It was soon after 9/11, and the issues people were dealing with as a result of 9/11 were so much more problematic then than any issues people would have been dealing with the few years earlier. I learned from that experience that although we may not know why or how at the time, sometimes we just need to trust the process. I am trusting the process again as this book is published. I am learning to go with the flow. Now that this latest book is soon to be published, I am very focused on its message, and not even consciously. It is only when I am thinking later that I realize how the lessons of the book are guiding my steps along the way. This reminds me that when we are going in the direction of our dreams, we do not have to think of our next steps. Our next steps become second nature. A recent example is my vacation spending. In previous years, I spent much more money than I spent on this latest vacation, and spending less this time was not by any act of will. I never developed a plan for how much money I would spend on this recent vacation. I just did not spend very much, even in the absence of a plan. Most of the few things that I did purchase were gifts for other people. It was actually a surprise to me when I realized how little I had spent on myself. This reinforced to me the value of making a commitment, such as publishing this book by the end of the year, and that when we do, the stars seem to line up for us. One lesson I learned about myself in my year of not spending money on myself was the importance of keeping track of my spending on a daily basis. The same is true of counting calories, or points, or carbs, or whatever. I am much more successful when I count, and write it down, and review it regularly. This is so second nature to my husband, Mike. To me it is not second nature at all; it is a daily discipline that I have to adhere to, or the end of the week or month is upon me, and I am out of money and calories. This entry was posted in Uncategorized and tagged budget, money, spending freeze, vacation spending. Bookmark the permalink.